There are many reasons as to why DIY weddings are on trend and increasing in popularity. Traditionally, couples and their families have had to fork out thousands for their wedding celebrations, leaving little or no money to enjoy their honeymoon and beyond. However, engaged individuals are now deciding to take matters into their own hands. With the rise of DIY weddings becoming the latest marital fashion, there are so many reasons why you should also consider creating your very own wedding day. Take a look below to see how you can transform your perfect day into something spectacular and truly personal with our luxury marquee packages. The most stand-out feature when it comes to planning your DIY wedding is that is completely personal and unique to you and your partner, meaning you don’t have to go on the basis of anyone else’s wedding model. When your guests see the beauty of a DIY wedding, they will know why you chose to do it your way! 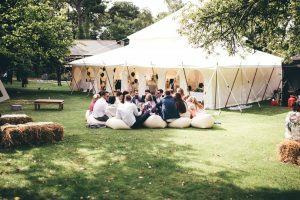 For example, if you wanted to hold your ceremony and celebrations in a converted barn with trapeze artists and acrobatic artists swinging from a beautiful wedding tent – then you can make it happen! Nothing is too big or too small, so go with your heart and prepare a wedding which is going to leave lasting memories for you, your friends and family. With a DIY wedding, you get to choose the location, lighting, music and most importantly the theme. 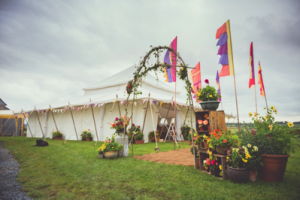 With so many turning towards a more nature/bohemian inspired feel with stunning wedding tents for hire, such as the India marquee package, you can create a wedding celebration which can stretch to your budget. Sourcing and creating your own wedding favours, lighting solutions, and celebrational food and drink really doesn’t have to be hard. There are many wedding blogs on the internet, such as Rock My Wedding, which highlight the beauty of DIY weddings and how easy it can be to have your very own. You can still make it traditional! Our services cater the whole of the South West, providing you with your very own luxury marquee in Devon, Cornwall and Somerset. If you would like to know how we can help with your DIY wedding in the coming months, please contact our friendly team of staff who will be able to adhere to your bespoke requirements.